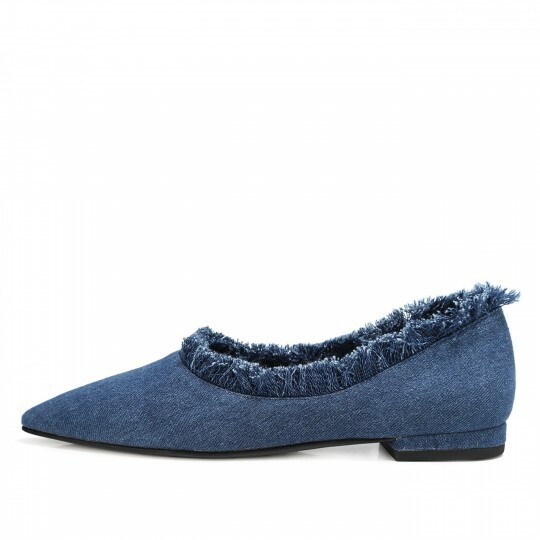 EMI-FRINGED Flats is crafted with fine indigo denim and genuine leather insole. The denim fringe surrounding is a highlight to the style. BERACAMY finely selected indigo denim and lambskin leather.